If you ask a homeowner in the Sacramento area to tell you what is great about bugs and rodents, chances are they won’t have an answer for you. Even as professionals who work with these pests every day, we don’t know that we can name a single good thing about them. Not only do they make your home less sanitary, but they ruin your belongings, bite you while we are asleep and compromise the infrastructure of your home. While some people think of pest control as something that can improve your overall quality of life, it is so much more than that. Pest control is a means by which you can protect your entire family and property. If you want to make sure that you are able to do that throughout 2018, continue reading below. Earthwise Pest Management knows how to make your home safe from bugs and rodents in the new year. What can YOU do to prevent pests? We have given you plenty of information on how you can protect your home and family from pests in our past blog posts. On the other hand, getting rid of pests isn’t always so easy as following a few simple steps. Rodents, bugs, and wildlife are incredibly persistent, as well as clever. This means that sometimes, no matter what you do, they will return time and time again to your home. When this happens, it’s a waste of time for you to continually use the same methods of extermination. Instead, you’re going to have to hire a professional. Termites, for example, will travel as far as the length of a football field if they want to occupy your home and use it as a source of sustenance. The only real way to prevent these pests from infiltrating your home is to have a professional pest control team put a barrier in place. Conversely, some pests will get into your home simply by waiting out under your deck, porch, or another exterior structure. This is a tough situation as there is no way for you to ensure that you have properly sealed your home to prevent the pests from getting inside. On the other hand, you know who can take care of this for you? That’s right, the professionals at Earthwise Pest Management. We have industry-developed methods that will ensure that vulnerable locations in your home are protected just as well as areas that are exposed. If you have bed bugs, live, leads mites or ticks in your home, you may first attempt to take care of these problems yourself. Sure, this seems like a good idea to begin with, but we guarantee that you will be calling an exterminator when all is said and done. Not only have we done this plenty of times before, but we know the specifics like where to put control products, as well as the places pests like these prefer to congregate. Why waste time and money on DIY pest solutions when you could hire the professionals to begin with? 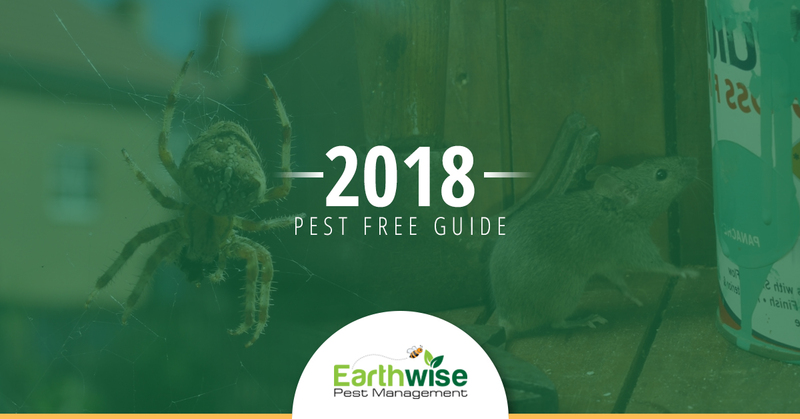 If you really want to keep your home pest free in 2018, it’s important that you form a relationship with a pest management company you can trust. Earthwise Pest Management is that company in Sacramento. Contact us today to learn more about how we can help you keep your home pest-free this year!